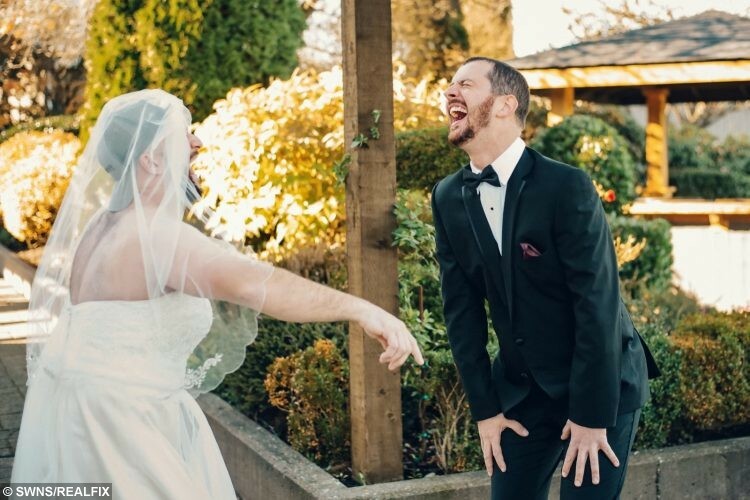 A groom burst out in hysterical laughter at the altar when he turned​ to ​look at his bride ​on their wedding day ​- and found​​​​​ his bearded best man standing there instead. 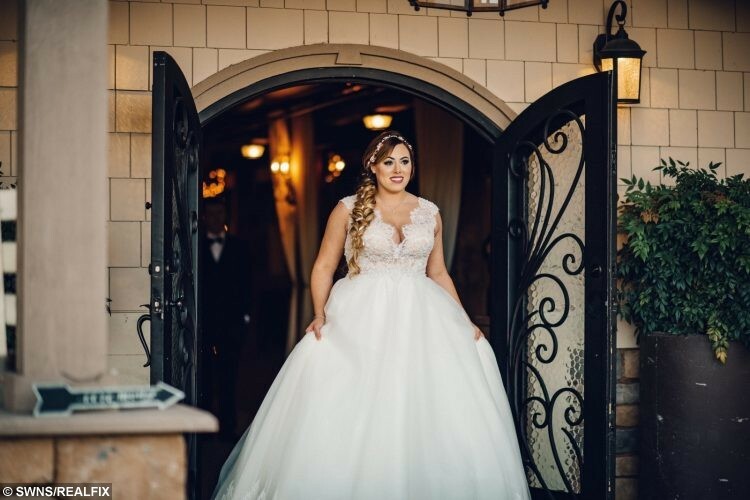 David Hofmann, 32, was expecting to see his wife-to-be Brianne Dennis, 29,​​ in her white gown, but she had traded places with their friend Timmy Horton, 37. 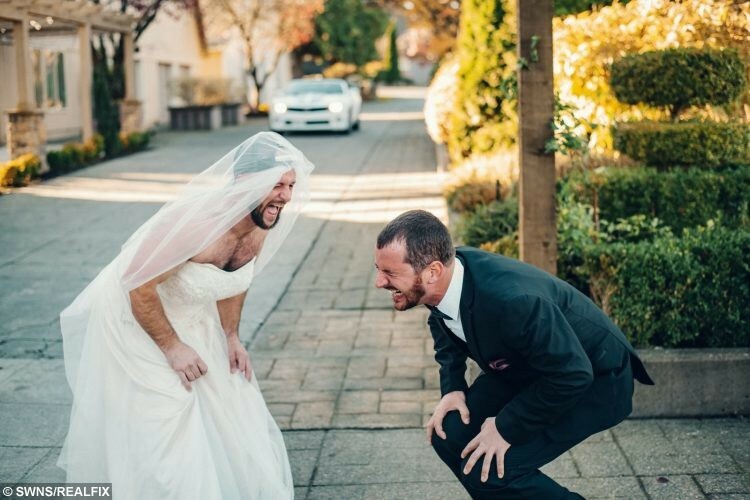 Photographer Anna Morrison captured the moment David creased in hysterical laughter after seeing his bearded pal wearing a veil and squeezed into a dress. 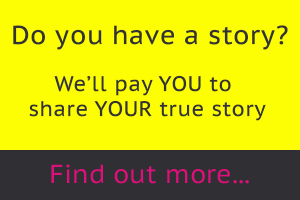 David, an electrician, said: “Right in that moment I was anxious. I was trying to calm my nerves because I was about to see my bride for the first time. “I was expecting to see Brianne and I turned around to see Timmy in a wedding dress. Bride Brianne, a housekeeper, and best man Timmy, a carpenter, plotted their prank after Timmy saw some funny wedding gags online. While the bride was reluctant at first, she eventually came around and suggested tricking David during a fake ‘first look’ photoshoot. 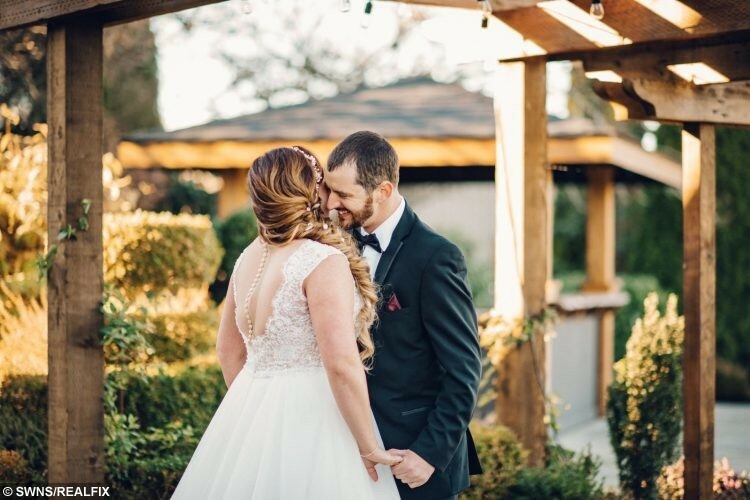 The ‘first look’ refers to a wedding tradition where brides may debut their look to their husband-to-be moments before walking down the aisle. 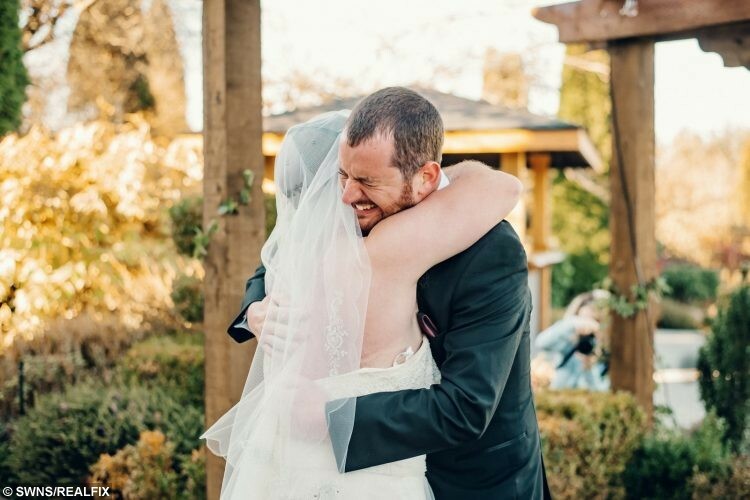 Mother-of-one Brianne, who has a four-year-old son, Wyatt, and lives with David in Marysville, Washington, USA, said: “I really wanted a serious ceremony at first. On the special day, an emotional David waited anxiously while Timmy slipped into a spare wedding dress and donned a delicate chiffon veil. Then, the dolled up trickster tapped the groom on his shoulder as friends and family watched on, trying to stifle their giggles. Collect of David Hoffman,32, and Timmy Horton,37. 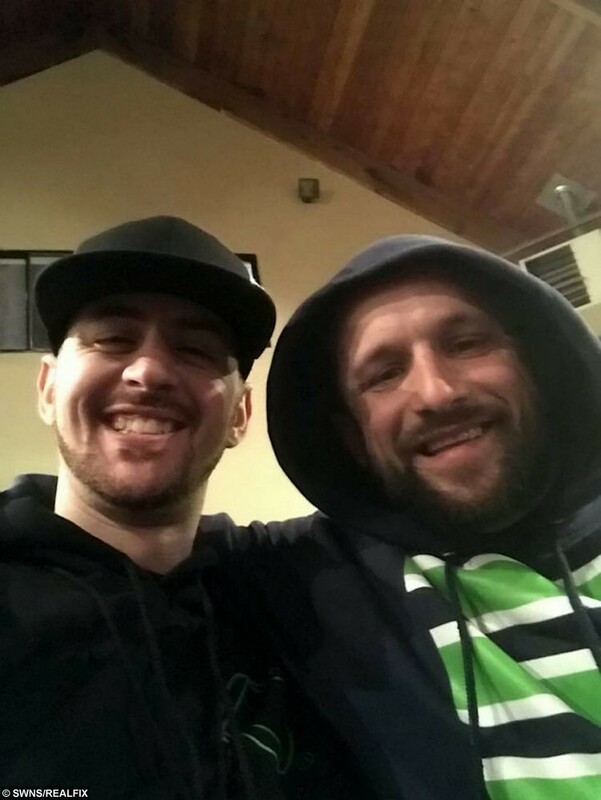 Timmy, of Snohomish, Washington, USA, said: “I was really nervous and anxious because it’s my best friend and I love the bride and groom so much. 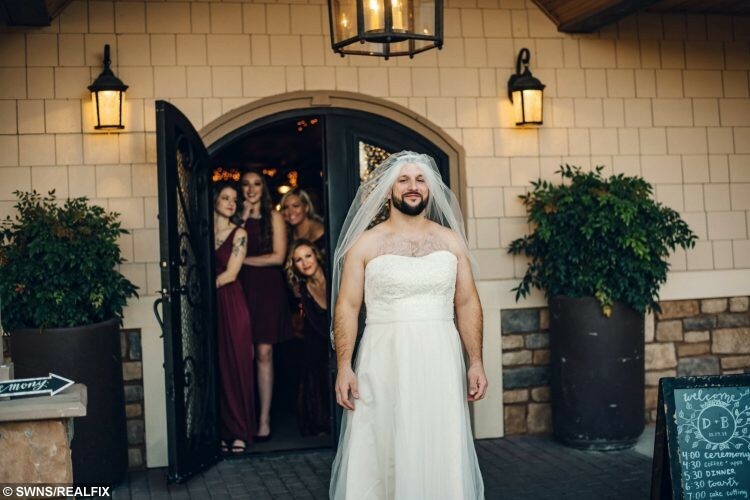 ​Moments after the prank, David got to see his real bride for the first time and was overcome with emotion. He said: “It was very funny and then I got to do the real first look. Brianne has always been beautiful so I didn’t expect anything less. 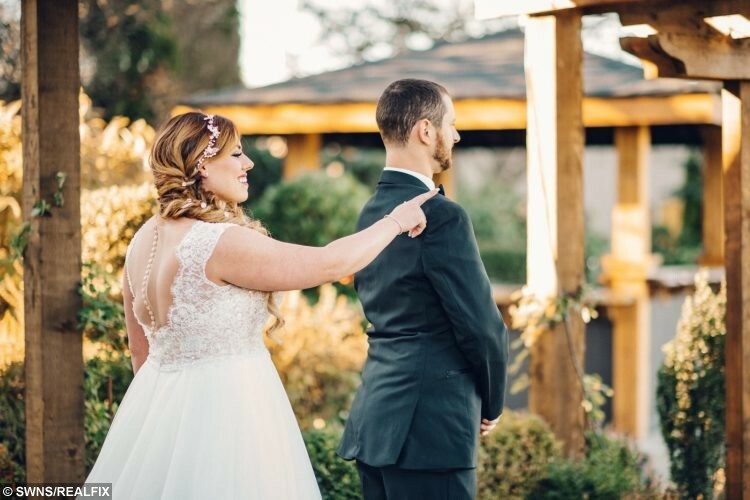 David and Brianne went on to tie the knot in a ceremony surrounded by loved ones at Lord Hill Farms in Snohomish, Washington, USA, on November 17.